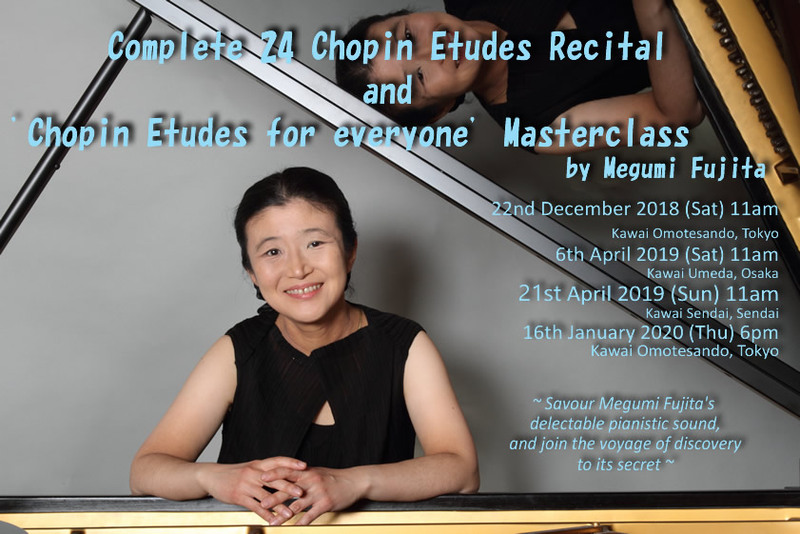 An 2 page spread article on Chopin 24 Etudes Concert & Masterclass (Dec, 2018) has appeared (with photos!) 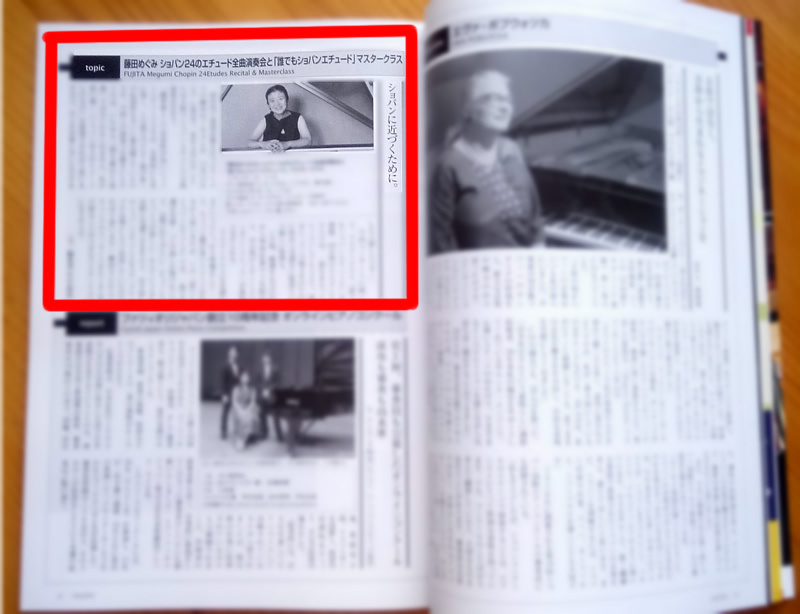 on March issue of Japanese Ongaku Gendai Magazine! 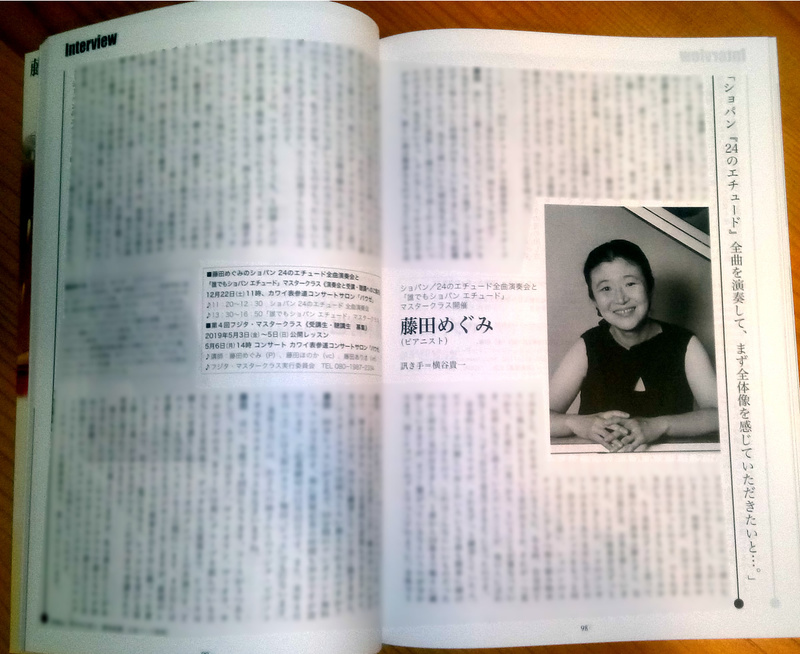 has been published on leading Japanese music magazines Music Gendai and Chopin! Devastated after losing my beloved teacher and mentor Irina Zaritskaya in 2001, I have felt so lost and all of my self confidence has vanished. After 17 long years, I have regained my self confidence back again at last! Join me as I embark to share my discovery, and I hope it will be useful to all who loves, and to all who plays the piano. The thought process in essence is to 'recreate what I envisaged Chopin imagined for his 24 etudes', and to physically express it on the keyboard. I have recorded the etudes in Sweden, and have released the CD in May 2017. With the complete performance of the etudes, and the following masterclass, I hope to deepen your understanding of the greatness and the ingenuity of the etudes, and share the secret of playing the Chopin etudes for all piano lovers. 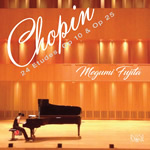 Megumi Fujita (piano) was born in New Zealand to Japanese diplomat parents. Was accepted to the acclaimed Yehudi Menuhin School in England at 14, and was selected to perform with the legendary violinist Yehudi Menuhin. She continued her studies at the Rubin Academy of Music, Tel Aviv (Israel) and the Royal College of Music, London (UK) with Simon Nicholls, Louis Kentner, Vlado Perlemuter, Irina Zaritskaya and Alexandra Andrievsky. 3rd Prize Bosendorfer International Piano Competition, 4th Prize Montreal International Piano Competition, Diploma and Chopin Commemorative Medal Chopin International Piano Competition, Silver Medal PTNA Piano Competition. Released 3 CDs from Swedish Intim Musik label; Rachmaninov 24 Preludes, Beethoven/Ravel/Rachmaninov Recital Disc and Chopin 24 Etudes. Studied 18 years under Irina Zaritskaya - 2nd prize winner of the Chopin Competition (Pollini was the winner). 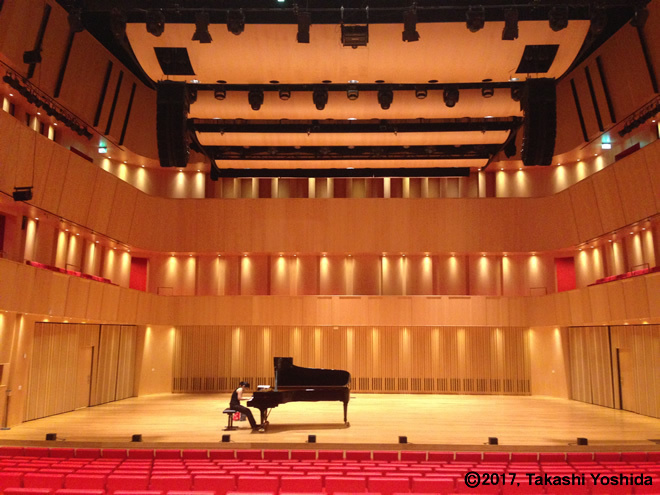 Full member of The Frédéric Chopin Society of Japan, Piano Teachers National Association (PTNA) and the Japan Federation of Musicians. Prior registration required for the Masterclass (50,000 yen, whole day ticket and your DVD of the Masterclass included) and Free Short Lessons. Deadline 6th March 2019. 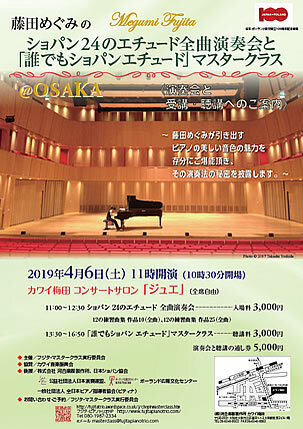 In association with: Kawai Musical Instruments, The Frédéric Chopin Society of Japan, Piano Teachers National Association (PTNA), the Japan Federation of Musicians, Polish Institute in Tokyo.